The crucifer family provides us with many nutritious vegetables such as cabbage, cauliflower, brussels sprouts and broccoli. They are all cool season annuals, hardy in light frost, and best grown in the spring or fall. Researchers have reported that cruciferous vegetables contain potent natural anti-cancer agents if eaten raw. They are also high in vitamin C, which may protect against arthereosclerosis. Four ounces of raw broccoli contains twice the vitamin C in an equivalent amount of reconstituted orange juice. Cooking halves the amount of this vitamin. 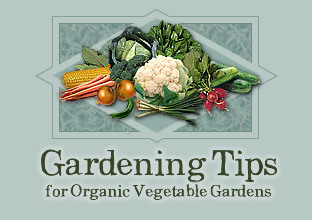 The following are some broccoli growing tips for Ohio gardeners. For an early crop, start seeds indoors in mid February. To keep broccoli going into the early summer, plant again mid march and in early April. For fall crops, start seeds 1-3 times throughout June. It takes the plants 6 weeks to reach the transplant size of 6". Broccoli is a heavy feeder. Add lots of compost to the soil plus some organic fertilizer with a nitrogen source such as chicken manure or blood meal. For the biggest heads, side dress with the fertilizer when heads first start to form or foliar feed the plants by spraying with fish emulsion several times. Add lime to the soil if needed to maintain a soil pH. of 6-7.5. For intensive beds, set plants at 15" apart. In regular row gardening set transplants 18-24" apart in 24-36" rows. Plant deep to bury the lengthy stems and keep watered if needed. Row covers can be used if the weather is too cold. Exposure to cold causes some plants to form an early, small head, a process called buttoning. If you grow cabbage family plants, you'll get cabbage worms. These bright green worms eat large ragged holes in leaves and will infest broccoli heads, blending in perfectly. The adult butterfly is white to pale yellow, with 3-4 black spots on the wings. Starting in early spring, they can be seen flying about, lying lemon yellow, bullet shaped eggs on the undersides of leaves. If you are quick enough, you can snag them in a butterfly net. Pest control measures include covering the plants with floating row covers or spraying a bacterial insecticide containing bacillus thuringensis. A new more effective form of this natural insecticide is called MVP and is now available. Harvest broccoli when the head is still tight. You waited too long if the head goes to flower. After the main head is harvested, smaller side shoots will form. fall crops can take a light frosting, in fact it makes them even better tasting. a hard freeze will soften the broccoli heads but they are still edible. There are many varieties of broccoli to choose from try several. My current favorites are cruiser and goliath.